The I-phones were pressed into service as passers by boggled at high-wheelers complete with riders in historical dress cycling around the Geelong waterfront. 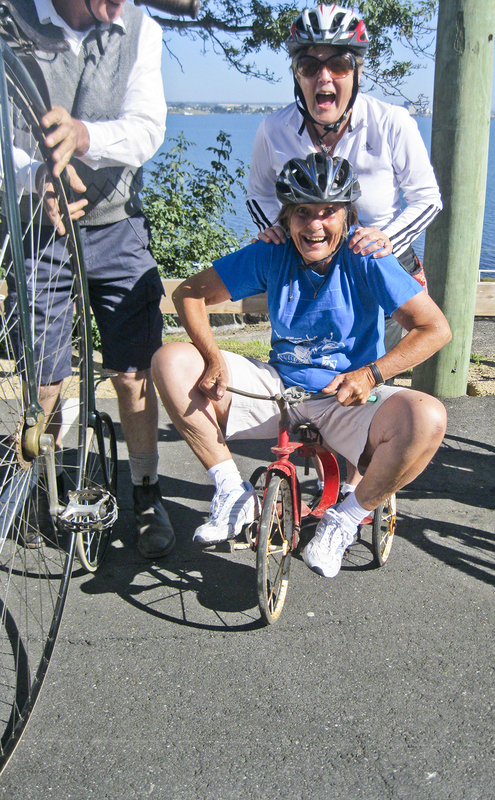 This was the second of Rod’s ‘Show and Shine’ bike rides. 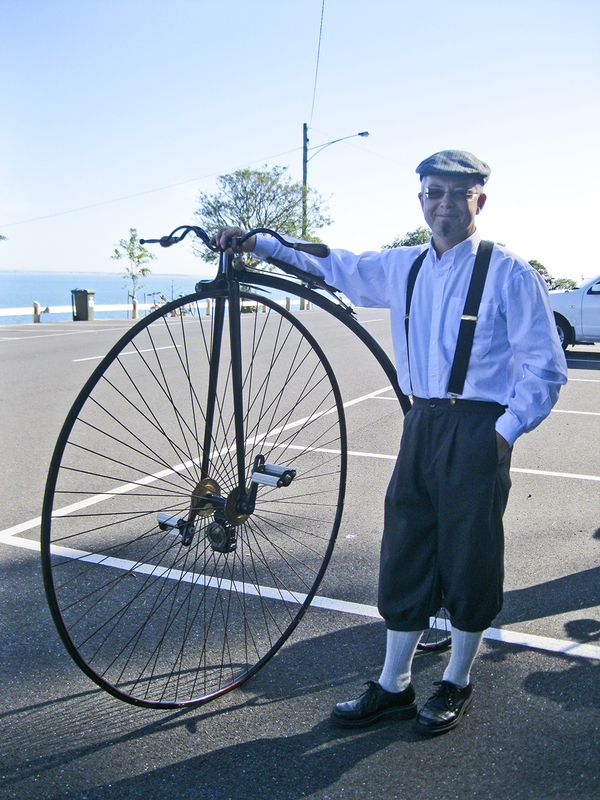 Cyclists are invited to bring historic or unusual bikes to show off. As well as Cycling Geelong members there were cyclists with historic bicycles from around the region, including a large contingent from Melbourne. There was even a child’s tricycle – though it didn’t make the distance as there was no one small enough to ride it! The trike’s big wheel is around the same size as the ‘farthing’ on the high wheeler. Among the modern bikes, small wheels featured. After a circuit of Eastern Park, the cyclists rode around the waterfront to Rippleside Park and back to The Beach House for coffee. Thanks, Rod for another wonderful cycling history ride. This entry was posted in Cycling history, Ride reports and tagged The Beach House Cafe by hlyth2013. Bookmark the permalink.